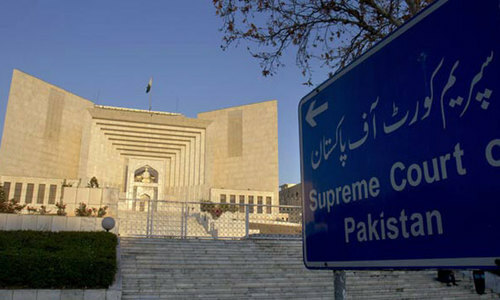 LAHORE: Justice Mazhar Ali Akbar Naqvi of Lahore High Court on Tuesday allowed suspended cricketer Shahzaib Hasan, who is facing charges of spot-fixing before a anti-corruption tribunal of the Pakistan Cricket Board, to go abroad for one time. Shahzaib had challenged the ministry of interior’s order of putting his name on the Exit Control List (ECL) in the back drop of the spot-fixing case and had sought removal of his name from the list. Director FIA, Punjab Usman Anwar appeared before the court and said that on application of Pakistan Cricket Board (PCB) the investigation started against Shahzaib. He said that the FIA had no objection if Shahzaib on guarantee would go abroad for one time. Earlier, Shahzaib counsel had said that the proceedings on spot-fixing charges were still pending against his client but the ministry of interior at the behest of the PCB places his name in the ECL. He had also submitted that it was unjust as the action had been taken against the petitioner even when he was not declared guilty by a court of law. It may be mentioned here that on Tuesay, PCB’s lawyer Taffazul Rizvi, while talking to media had said that the PCB had not asked anyone to put the cricketers involved in the spot-fixing on ECL. Though in the start, the FIA had also started the inquiry in the scam, the PCB put resistances and finally convinced then interior minister Ch. Nisar Ali to let its anti-corruption tribunal to deal with the matter first.